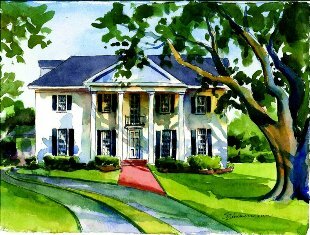 To celebrate the 100th Anniversary of Margaret Place, the Calcasieu Historical Preservation Society and the Margaret Place Historical District have created a joint effort to deliver an expanded Palm Sunday Tour of Homes. They are joined in this effort by representatives from the SWLA Convention and Visitor's Bureau, the Arts and Humanities Council of Southwest Louisiana and the City of Lake Charles. The number of homes has been expanded to include the nine homes featured below. The interiors of each will be open for the Palm Sunday (April 1, 2012) Tour. Streets will be blocked to provide for a tranquil setting to better enjoy the vintage cars that will be on display. Tickets can be purchased on-line via PayPal, or ordered through the mail by sending your check along with this multi-purpose form that can also be utilized for those wishing to volunteer. "Day-of" tickets will be available at ICCS along with an exhibit courtesy of ICCS, CHPS, and Margaret Place residents and former-residents. 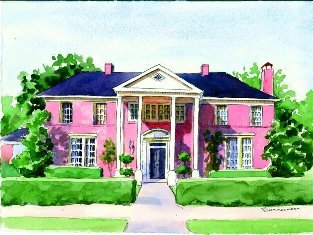 Unique to this year, The Margaret Place Fan Tour and The Margaret Place 100th Anniversary Brunch at 121 Artisan's Bistro are limited attendance, advance sale only events. Dr. Allen Perkins, great-grandson of Allen Jefferson Perkins hopes to accept our invitation to join us during the breakfast. Another added bonus for 2012 Palm Sunday ticket holders will be a full color program that will provide detailed information of each home on the tour as well as complete history of Margaret Place complete with photos and architectural accent images by Sue Zimmerman, recipient of the Mayor's Award as the 2010 Artist of the Year! By providing information within the program, visitors will be able to move through the homes faster than in previous years as our docents will not be making formal presentations. The ability to provide the program and expand the tour this year is due to the support of our sponsors. Often referred to as "The Bishop's House", the home at 131 Harrison is one of 9 home on the 2012 Palm Sunday Tour of Homes. Learn more about 131 Harrison. The oldest home in Margaret Place, the Landmark plaque on the home at 330 Wilson reads, "The Leon Locke House". In addition to being on the Palm Sunday Tour of Homes to be held on Sunday, April 1st, 2012, the porch and the home's history will be highlighted during one of three porch-stops along the way of the Margaret Place Fan Tour on Saturday, March 31st. 1505 Griffith is on the corner of Griffith and Park Avenue. Built in 1919, it is known as "The H.D. 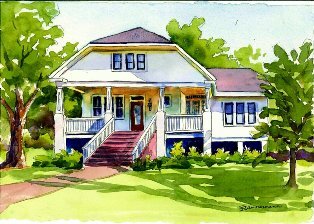 White" home as recognized by the Calcasieu Historical Preservation Society. 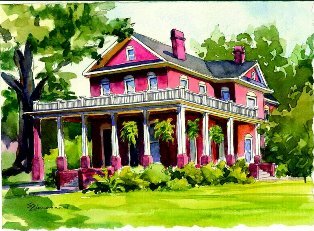 Besides interior access for the Palm Sunday Tour of Homes to be held on April 1st, 2012, the porch of this historic home will also be a part of the Margaret Place Fan Tour the afternoon before the full tour. Besides welcoming guest inside on the Palm Sunday Tour on April 1, 2012, the beautiful patio and back yard of 211 Wilson will serve as the backdrop for the social function following the Margaret Place Fan Tour on Saturday, March 31st. The patio will serve as the last stop of the Fan Tour. 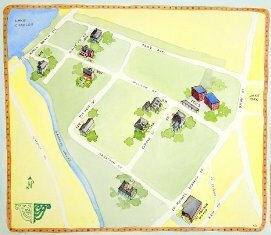 Learn more about the Filo home. 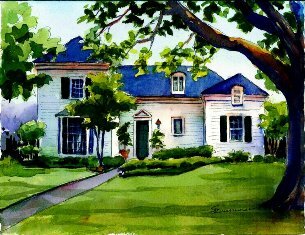 129 Pithon is another significant listing on the tour as it rounds out our search for homes built during the first several decades after the Perkins family determined to create "Margaret Place." In fact, 4 decades of homes will be represented on this year's tour, yet all are over 50 years old, a criteria for being on the tour. 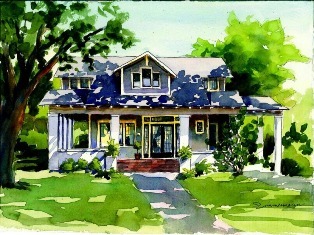 Owned by Molly and Gus Quinn, this home will be on the Palm Sunday Tour of Homes on April 1, 2012. Learn more about this ranch style home. One of several Landmark homes in the Margaret Place Historical District, the plaque on 106 Grove reads, "The Stevens R. House" for the original owner. 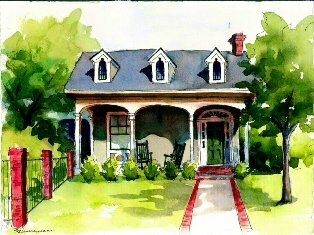 The front porch will also serve as one of four stops along the way for the Margaret Place Fan Tour to be held on Saturday, March 31st, 2012. 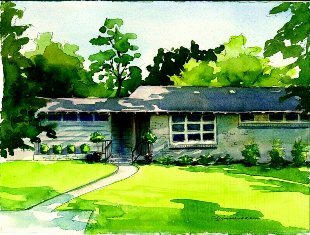 This home was designated a historical landmark during the 1991 evaluation procedure by the Calcasieu Historical Preservation Society. Get a sneak preview of what is known as "The Texada House" to better prepare yourself for the tour. Built in 1937, the Ranier home at 321 Wilson Avenue is as spectacular as the gardens that can be toured during the Margaret Place Fan Tour. Couple the style, craftsmanship, and care of the home with the gorgeous gardens and the result is a home that had to be on the Sunday AND Fan tour to better admire the gardens. This home was built in 1937 as a wedding present from Dr. R.G. Holcombe Sr. to his daughter Roseina, and son-in-law Oliver P. Stockwell. The current owner is Senator Willie L. Mount. 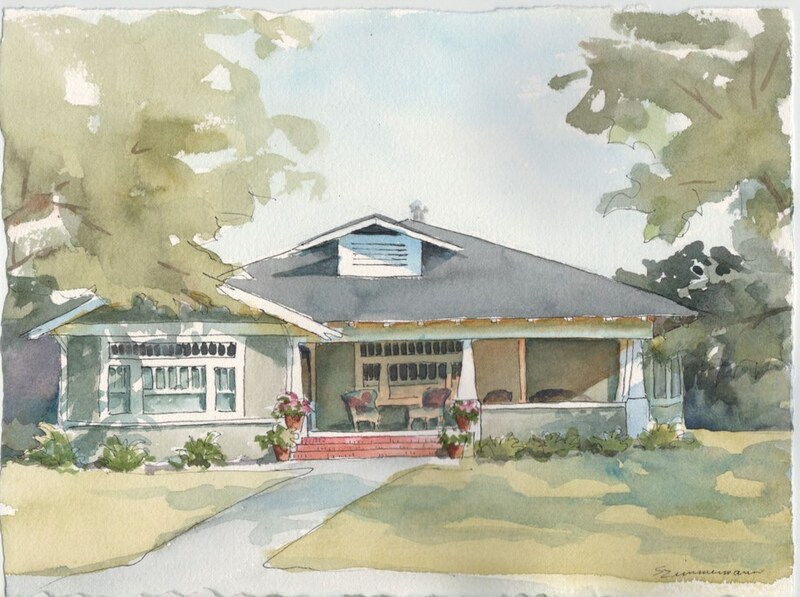 It was designated a Landmark Home in 1996 by the Calcasieu Historical Preservation Society. "The Stockwell House" has been on numerous tours and we deeply appreciate the opportunity to showcase it during the 100th Anniversary of Margaret Place.